Go for contemporary sophistication with the leather Burlington Modern Chair. 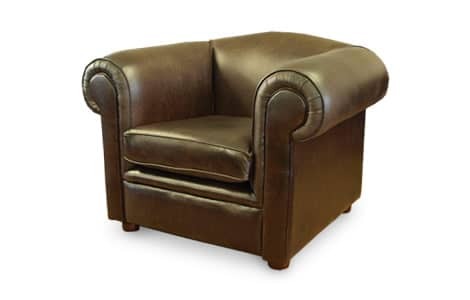 This elegant piece combines original Chesterfield styling and great comfort, with its raised back support, making this a truly understated classic piece. The Burlington Modern Chair is bespoke to order and handmade by expert craftsmen in Lancashire, England.